These cherry chocolate hazelnut balls are made with raw ingredients, perfect for curbing that sweet tooth in a healthy but tasty way. This WIAW post definitely crept up on me. Short weeks are awesome in that kind of way. I’m expecting one of two things on all the WIAW posts today, either an excessive amount of cookies and sweets as people try to finish them up or, incredibly clean, detox kind of foods for those of us done with the sugar. I definitely fall into the latter category. Sugar be gone! 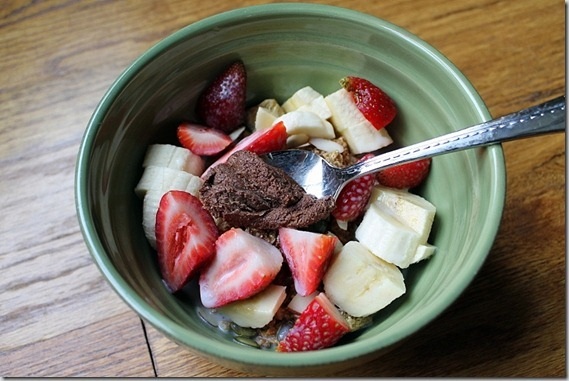 Just a pretty standard cereal bowl with Trader Joe’s shredded wheat, grapenuts, bananas, strawberries, some other nut/seed toppings and a small spoonful of Justin’s hazelnut butter. Also, lots of unpictured coffee to get me through the first morning of work after 3 days of vacation. 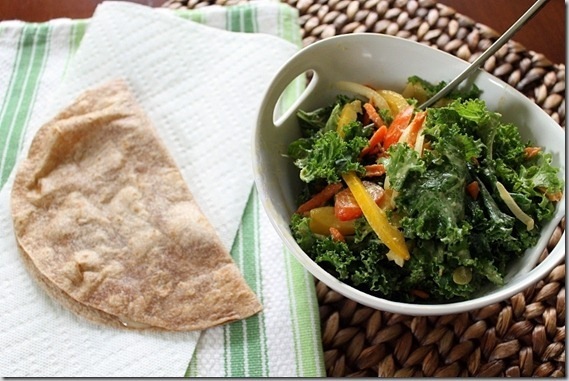 A kale salad and dressing you’ll be seeing more of this week and a cheese quesadilla. Kale has never tasted so good after 3 days without any leafy greens. In an effort to not grab any more Godiva chocolates from the entire tin we have sitting in our kitchen, I made a new raw snack ball combination, cherry chocolate hazelnut. Delicious, satisfied my 2-3pm snack attack and it’s actually healthy. Beat that Godiva! It’s disturbing how much fun I have photographing balls. I snacked on these while trying to figure out a feedburner issue that I discovered this afternoon. Apparently, my feed was broken for the past 4 or 5 days. By some miracle, I actually figured it out and fixed it myself (woohoo!) so sorry if you got a slew of posts all at once from the past few days. It should be working normally now. Combine all ingredients except maple syrup in a food processor and process until finely chopped. Add in maple syrup and process until mixture just starts to form a ball. Pour dough into a small bowl and roll into balls. I had a small piece of leftover Christmas lasagna with more of that kale salad. I officially deem lasagna the most unappetizing food to photograph. Tea for dessert with an episode of our new Netflix obsession, Breaking Bad. I’m on a Mad Men hiatus because the drama between Betty and Don was making me all anxious. Seriously. Cooking meth and cancer seem to be better storylines for me. Are you still indulging in holiday treats or done with sugar too? Anyone else watch Breaking Bad? Mike’s been watching Breaking Bad like it’s his job. I can’t get into it, though. The episode where the guy got his head crushed by a vending machine? No thanks. I’ve been getting your feed all week I’m pretty sure, but glad you got that straightened out, it can be such a headache! Those balls sound tasty, I love the chocolate/ fruit combo a lot! I think it was only email subscribers…what a pain tech issues can be! I went to town on some kale chips last night and it was so.freaking.good. Man, I missed kale these last few days. Yeah, there was some definite gorey stuff in the first few episodes but that seems to have subsided (at least for now) since. Modern Family is hysterical, I used to watch that when we had cable, I should definitely see if that’s on Netflix. I have had ice cream the last 2 nights, however, I did not have too many sweets over Christmas since I am gluten-free and there weren’t too many options that I was comfortable indulging in. Ummmm YES Please!!! 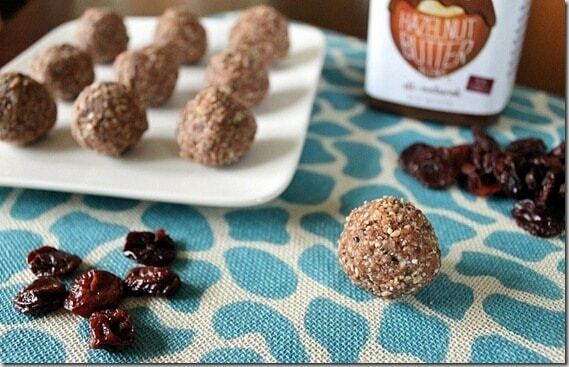 These cherry bombs….lol or balls, look AMAZING! I’m heading to WFs’ today so I should get some dried cherries!! YUM!! My kinda healthy grain free treat! Seriously – every time you do your WIAWs all I want is for you to come make all my meals for me! yummy! I love hazelnuts & hazelnut butter just sounds divine :) i’ve been getting your feed fine this week but whatever you had to do, i’m glad it worked out! Thanks for sharing the recipe! Looks great! 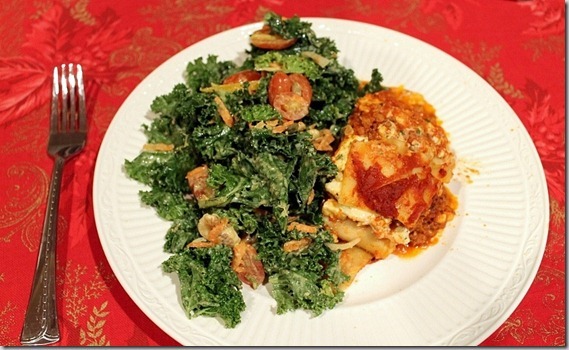 I definitely have been detoxing – but not for WIAW eats yet! Post NYE though, I’ll need a month of detox meals! Sadly still on the sugar. I’m trying to get off though, or rather drop it down to a less extreme level! 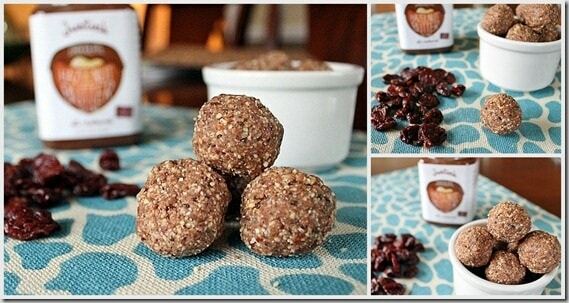 I just found your blog from Jenna’s, and thank goodness I did – these hazelnut balls look great! I’ll have to try them! ps. Godiva chocolate is the best! I love Justin’s, but for some reason, I have never actually tried the Hazelnut Butter! I need to buy some, ASAP! Definitely not done with the sugar. My MIL makes this aaaaaamaazzziiinggg flan that’s really more like a cheesecake than flan but oh my gosh it’s so good. And there’s still some in my fridge. So once that is gone, then I’ll be done. Except there is still some cake and sprinkles ice cream in the freezer. So once THAT is gone, THEN I’ll be done… Probably… Maybe… Okay. No. Definitely not. Thankfully I don’t typically eat more than one sugary treat a day. The salty snacks are what get me. Even though I felt like I cleared the dessert table on Christmas, I am not shying away from my “sweet tooth”. I’m actually treating myself to a chocolate peanut butter ball tonight, but only 1 of course. If I eliminate sweets completely, they come back like an animal. So I try to do it in moderation…except for Christmas day. Totally love the balls!!! I am dedicating my day to making them! I need a sweet, healthy treat! !